The same night Guillermo Calderon’s play B opened at the Royal Court in London, a press conference was held 7,500 miles away in Chile. It called for the release of former guerrilla activist Jorge Mateluna from prison and was the direct result of another of Calderon’s plays. The Chilean playwright insists it is essential for political theatre to “actively engage” with the problems it discusses, rather than “hide within the four walls” of the building it is staged in. While Calderon appears visibly excited to be premiering his new play in London, there is also a hint of disappointment that he is “missing out” on the political campaign he has fuelled on the other side of the world. Calderon grew up in Santiago, Chile, during dictator Augusto Pinochet’s fascist regime. His political plays, which explore revolution and war, have toured extensively across the US, Latin America and Europe, and he has been commissioned by some of the world’s leading playhouses such as New York’s Public Theater. Calderon is also a theatre director and a multi-award winning screenwriter, with his films including the 2016 biographical drama Neruda. After being introduced to theatre at school, Calderon trained as an actor at university. He moved into directing after realising he “wasn’t enjoying acting so much”, and later, when he “couldn’t find the right play to direct”, he began to write. Calderon moved from Chile to the US in 2014, where some members of his family already lived, because Chile had become a “long experience of disappointment and frustration”. Today, the playwright lives in New York. “I wanted to not feel completely saddened by the state of things, because [Chile] had a very traumatic transition to democracy, it became a big frustration of unfulfilled promises,” Calderon explains. 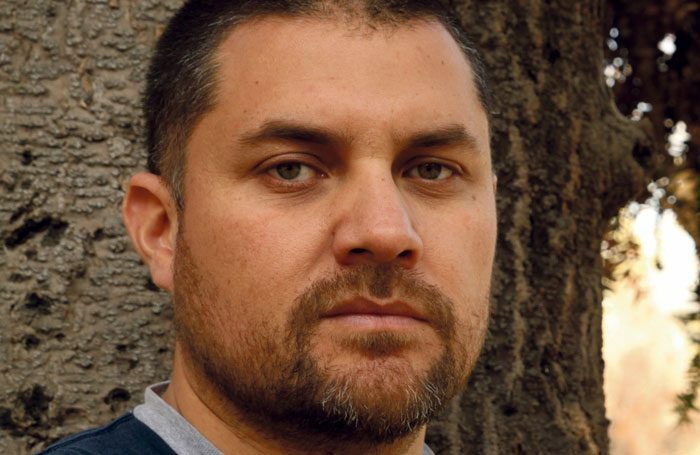 Alongside his work in the US, Calderon maintains a powerful presence in Chile. 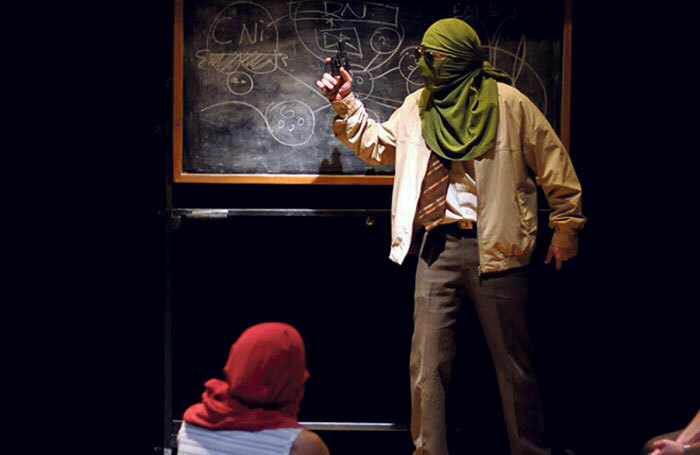 His unnamed Spanish “company of friends” puts on plays; these have included Escuela in 2013, about a group of left-wing activists who gather to overthrow a military dictatorship. One of the contributors for Escuela was Mateluna, who shared anecdotes of his brief history as a member of the Manuel Rodriguez Patriotic Front; brief because he was imprisoned, aged 18, for 12 years for violating an anti-terror law, before being released and pardoned in 2004. As Escuela toured, Mateluna was arrested again and sentenced to another 16 years in prison after a questionable trial accusing him of bank robbery. One of the biggest supporters of Calderon’s work has been the Santiago a Mil International Theatre Festival, which has commissioned many of his plays. What was your first job? Actor in El Senor Galindez, 1993. What is your next job? Writing commissioned plays and screenplays. What do you wish someone had told you when you were starting out? Write. Who or what is your biggest influence? [Chilean composer and artist]Violeta Parra. If you hadn’t been a writer what would you have done? Been a teacher. Do you have any theatrical superstitions or rituals? I don’t. Celebrating its 25th anniversary this year, Santiago a Mil was founded by Chilean theatremakers after the fall of the dictatorship, with the aim of making culture more accessible throughout the country. As well as committing to bringing the best theatre from around the world to Santiago, Fundacion Teatro a Mil, which now runs the festival, also aims to introduce the best Chilean theatre to the world by enabling companies to tour their work, creating a “cultural exchange” with other countries. Calderon says the festival is extremely keen to develop links with the UK theatre scene, but admits this has proved difficult. 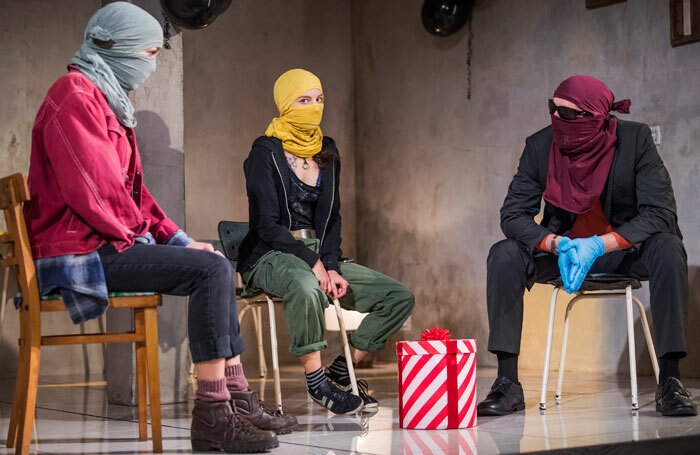 B, which is translated by William Gregory and directed by Sam Pritchard, is inspired by events that started to happen by the mid-2000s in Santiago, during which left-wing activists set off bombs in less populated areas of the city, mainly at banks, in protest against poverty and the state. Calderon says that the experience of presenting his work in the UK has been “rich and interesting”. “The UK has this incredible tradition of creating such wonderful theatre, and for them it’s so interesting to see how other countries do it differently,” he says. Awards: World Cinema Jury Prize for Drama, International Federation of Film Critics Prize for Best Film (Violeta Went to Heaven); Silver Bear at Berlin International Film Festival, Silver Plaque at Chicago International Film Festival, Mar del Plata Film Festival Best Screenplay, Fenix Film Award for Best Screenplay, Platino Awards for Iberoamerican Cinema Best Screenplay (The Club).